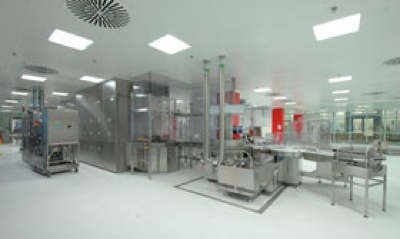 ISD Solutions, a UK-based composite panel solutions construction company, has completed a €1.8m frozen and chilled storage facility for Spanish pharmaceutical and healthcare firm Grifols. The Gloucester-based company says the warehouse represents a significant investment and forms part of the company’s new International Logistics Centre on the IDA Business Park in Grange Castle, Dublin, Ireland. 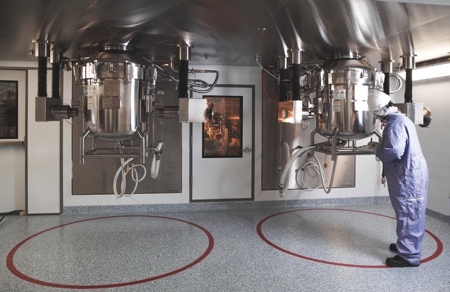 The 12-month project has involved the design and construction of two temperature-controlled 'clad-rack' (or self-supporting) structures to provide centralised storage and distribution for blood plasma products. The supporting structure comprises a Jungheinrich high-rack storage system, with cranes and conveyors, which provides automated storage, sorting and retrieval, enveloped by high performance insulated panels to form a thermally efficient single envelope skin for each of the two buildings. In total 9,000m2 of PIR insulated panels were used in the construction. ISD Solutions had total responsibility for the insulated envelope and door design, creating both a high bay frozen chamber supporting temperatures down to –35°C and an adjacent 35m high chilled storage area. Achieving an efficient air tight structure was crucial and the buildings easily exceed design specifications with test measurements of 0.4m3/m2 at 50 pascals for both chambers. With the largest panels measuring 18m high, the logistics of lifting and fixing them into position required careful planning for ISD’s Special Projects Division. With more than 500 construction workers involved in total on the whole logistics centre, sequencing and co-ordination with other trades was also critical in achieving the client’s timeframes. Conveyor and door synchronisation is crucial to the success of the facility operation and were important design considerations that ISD and Jungheinrich had to get right. ISD Solutions says it pioneered the design and construction of large-scale single envelope cold store projects using self-finished composite panel technology and was chosen as the only contractor with specific experience in building similar clad rack structures. Early design input with Jungheinrich and main contractor Stewarts Construction also ensured a problem-free build. 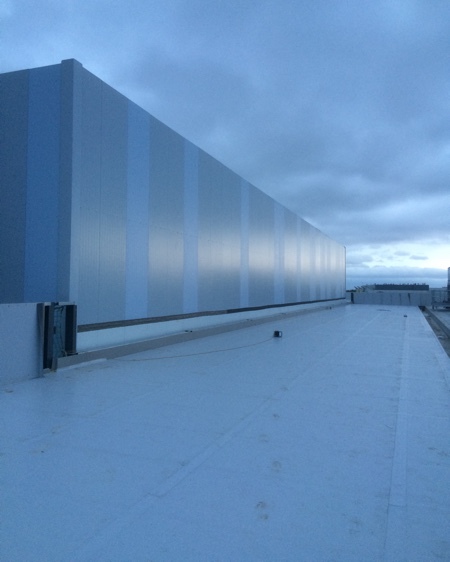 ISD Solutions' Commercial Manager Jason Denning says: 'When designing a cladding system to high bay ‘clad rack’ temperature controlled buildings, there are several key factors to be considered. The envelope forms part of the building system, which must accommodate high wind loads and the effect of thermal stresses on the panel. At over 35 metres high, this is one of the tallest single envelope clad-rack warehouses in which we have been involved. Working at these heights presents added construction difficulties so we have our own in house Health and Safety expertise to ensure risk-free installation methods and HSE procedures are followed to the letter.